It's hard to believe Baby Winnie just celebrated her first birthday! Winnie's first birthday bash was a Mardi Gras themed party with our family and friends. 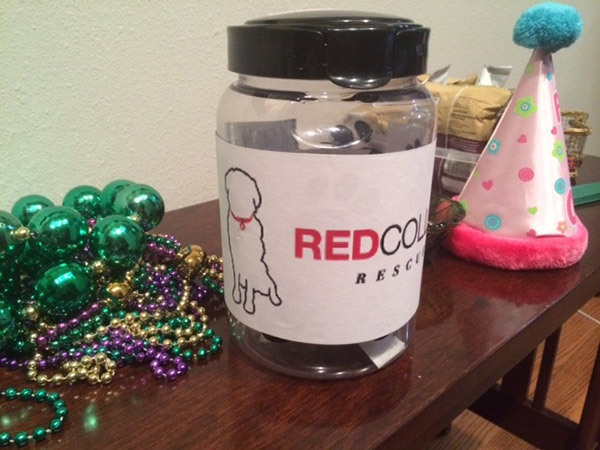 Instead of gifts, we asked everyone to make donations to Red Collar Rescue. 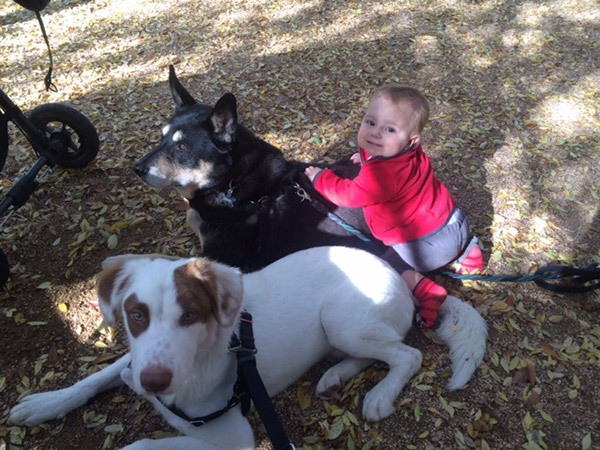 You may remember that Winnie helped successfully foster her first dog for Red Collar Rescue over the holidays. 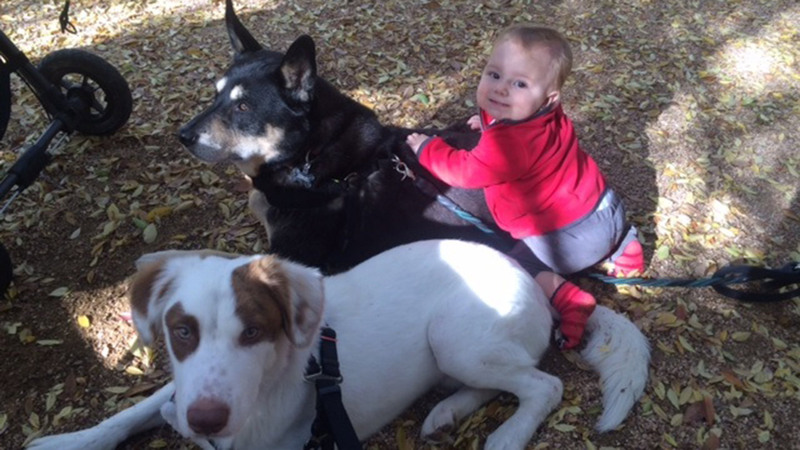 Stevie is now living happily in his fur-ever home. My husband and I want Winnie to grown up with a love of animals. Plus we want to instill in her gratitude for the things she has and compassion for those who do not have as much. Let's face it, Winnie is too young to even know what a birthday party is all about. She certainly doesn't fully understand the concept of presents. For us, this is the perfect time to introduce the idea of giving to others. Winnie still got to open a few gifts, but most people made donations. Just from Winnie's party, we raised several hundred dollars for Red Collar Rescue. 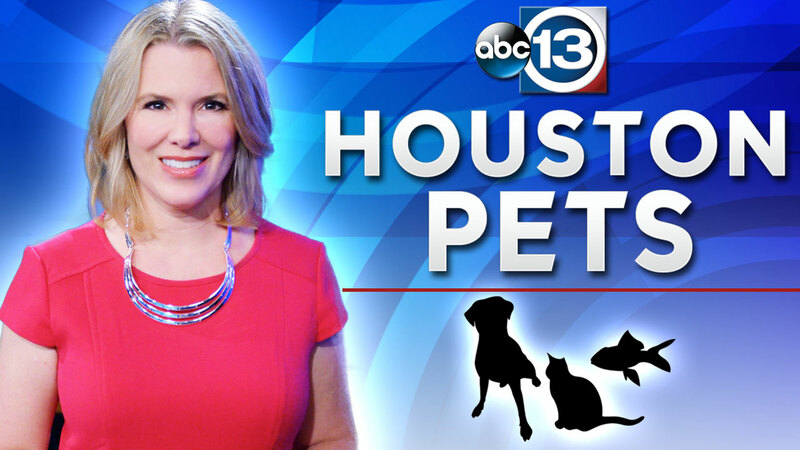 Red Collar Rescue is an all volunteer organization. So, every penny will go directly to pay for medical care, food and boarding for the animals they help. It just goes to show you don't have to do something big to make a huge difference in the lives of others. I hope you are inspired to find creative ways to help causes dear to your heart. Here's a slide show of pictures from Winnie's big day.